“Men often hate each other because they fear each other, and they fear each other because they don’t know each other. They don’t know each other because they can’t communicate with each other, and they can’t communicate with each other because they are separated from each other. And I think one of the great tragedies of life is that more often men seek to live in monologue rather than dialogue. And there is the danger that this will happen in society. So there is need for leadership from the people of goodwill in the white South”. Above, one of the passages from Martin Luther King‘s writings, Norman B selected for Fanni Green to read throughout Life Elsewhere‘s tribute to Dr. King. Ms. Green is Professor of Theater at The University of South Florida. Also in the program writer, Carl Gibson* explains the article he wrote titled How the Government Killed Martin Luther King Jr. Norman B‘s son James, gives an eleven year-old’s succinct take on the legacy of Martin Luther King. 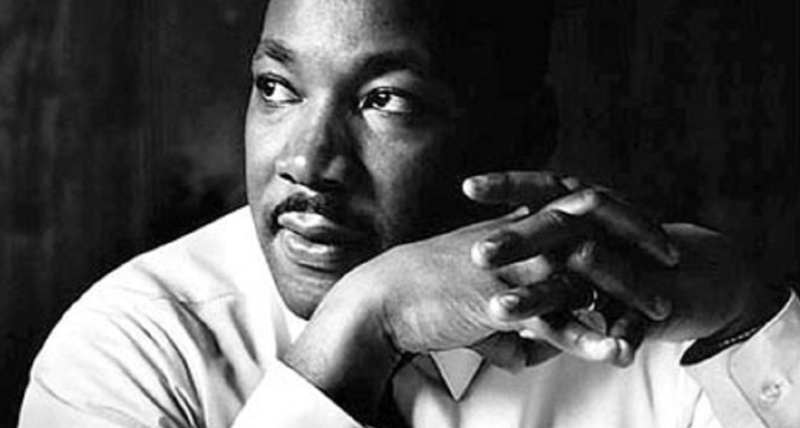 Regular contributor, acclaimed New York Creative Director, Robert Newman gives his personal account of the beginnings of Martin Luther King Day. All this plus musical tributes to Dr. King including The Hit That Never Was.